Recently the attorneys of Rosensteel Fleishman were asked to view a video of a police shooting in South Carolina. The shooting was captured on the officer’s dash cam. The dash cam is a video camera mounted on the dash of the officer’s vehicle. While dash cams differ in some respects many of them automatically come on and record if the officer engages his blue lights or sirens. In the case at hand the officer had pulled over a driver. The driver exited his vehicle and reached into the bed of his truck and pulled out his cane. The officer starting shouting at the driver then opened fire repeatedly striking the driver. In this instance the object the driver pulled out of his truck was a cane, not a gun, and the driver was an elderly gentlemen. Our attorneys took different viewpoints on the legality of the shooting. Corey Rosensteel took the position that the shooting was a justified use of deadly force. Attorney Matthew Fleishman took the position that the shooting was not justified and exposed the officer to civil liability. These types of cases deal with the question of excessive force. While states differ most states allow officers to use deadly force when they are acting in facing an assailant using deadly force against them or others. Clearly if a defendant runs at an officer with a banana the officer will not be justified in using deadly force. Of course the question will be did the officer have an opportunity to realize what the object was. The courts have been hesitant to second guess officers in these types of situations. It is always easy in hindsight to second guess someone’s actions. It becomes of question of whether the officer’s actions were reasonable considering all of the circumstances. Of course most situations are not caught on tape to be dissected later on. Most accounts are verbal coming from interested parties. Our lawyers typically sit on different sides as we practice law handling cases for people injured in their encounters with the police. We have seen repeated examples of excessive force by the Charlotte Mecklenburg Police Department CMPD as well as police forces across the state. There are dozens of federal and state court decisions which deal with this issue. As a society we have given power to a civilian police force. They have been tasked with upholding the laws we enacted. Along with that responsibility comes great power to enforce those laws, specifically the ability to use deadly force. The ability to use deadly force is reserved to the general public as well, but in very limited instances. In the case at hand it can be argued that the officer failed to properly instruct the driver to remain in his vehicle. Further, there was no warning prior to opening fire to “drop the gun.” There are no quick movements by the driver who from all appearances appears and acts like an elderly man. This is not to say the viewer of the dash cam saw everything that transpired. We do not know what happened prior to the dash cam being turned on. Further, it could be argued, that the driver’s actions are consistent with someone under the influence of an impairing substance. Finally, age alone does not mean the driver is unable to open fire at the officer. These cases come down to a question of what was reasonable for the officer to do under the circumstances. Shortly after firing at the driver the officer realizes his mistake. However, when the cane was pointing at him was his belief reasonable that the driver was pointing a gun at him? This is a question of fact which juries across the state have to answer in these types of cases. What is changing in excessive force cases is the prevalence of video. Just ten years ago it was rare to have a video in these types of cases. Video of the Rodney King beating by the police in LA were national news. Now you can just go to YouTube and search for police brutality or excessive force to watch literally tens of thousands of instances caught on tape. With the prevalence of cell phones anyone can capture an interaction with the police. The police are also using video. To counter the public taking video of them they are using video to capture interactions with the public from start to finish. These videos can be used to argue against police brutality or excessive force claims by the public. Most police vehicles today have dash cams. These videos are very useful in DWI cases because they capture both the erratic driving (probable cause) but also the subsequent field sobriety tests. The debate ended with our lawyers agreeing to disagree. This is a close case with arguments of both sides. Both sides agree that the situation could have been avoided if the driver had remained in the vehicle. This may be a matter of driver education. There are constant reminders on the news of police officers being shot. This isn’t to say that officers have itchy trigger fingers but it is just smart policy to not give anyone an excuse to open fire. The driver in the shooting has a right to bring a civil claim against the officer (and the department). In most cases the defense will move to dismiss the claim via summary judgment. This is where they will ask the judge to dismiss the case before it goes to court as a matter of law. In other words, the law is so clear that there is no need for a jury to hear the case. While it is impossible to guess what a judge will do, this case would be difficult to dismiss on summary judgment. That doesn’t mean the driver will win his case. It just means he may get his day in court. 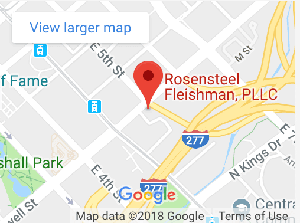 The attorneys of Rosensteel Fleishman are regularly asked to contribute their legal opinions on cases that confront members of the Charlotte public and North Carolinians as a whole. Our lawyers focus on different practice areas so the attorney who will handle you criminal defense case will not be the same lawyer who handles your personal injury case. Please contact us to discuss your case and how we may assist you.